It is Teddy Bear week in our neck of the woods! 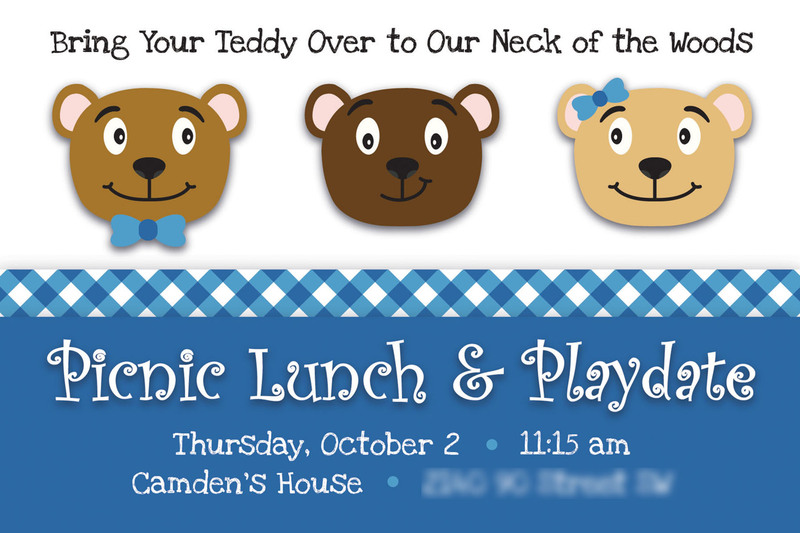 My son has started preschool this fall and Thursday is their first themed day – a Teddy Bear Picnic. Plus, on Tuesdays, my little girl and I attend a Salsa Tots class and it just so happened that their theme for this weeks class is also a Teddy Bears Picnic. Because of this happy coincidence, I decided to take the theme a bit further and am hosting a Teddy Bear Picnic lunch and playdate at our house on Thursday after preschool. A handful of my son’s class are all friends he has known from attending playgroup for the past two years and there are also a couple younger siblings Keira’s age. Because of scheduling we decided against joining playgroup again this year, so I am hoping to plan a few playdates at our house to keep connected to this wonderful group of ladies and their kids throughout the fall and winter. I am trying to keep things simple for the playdate, but that is hard when there are so many cute teddy bear themed decoration and food ideas out there! Luckily I have a big party supply closet to draw on to create my tablescape, plus a few simple DIY projects I have come up with. These foam ball teddies occurred to me when I was in the craft aisle of the Dollar store and saw the bags of various sized small foam balls. 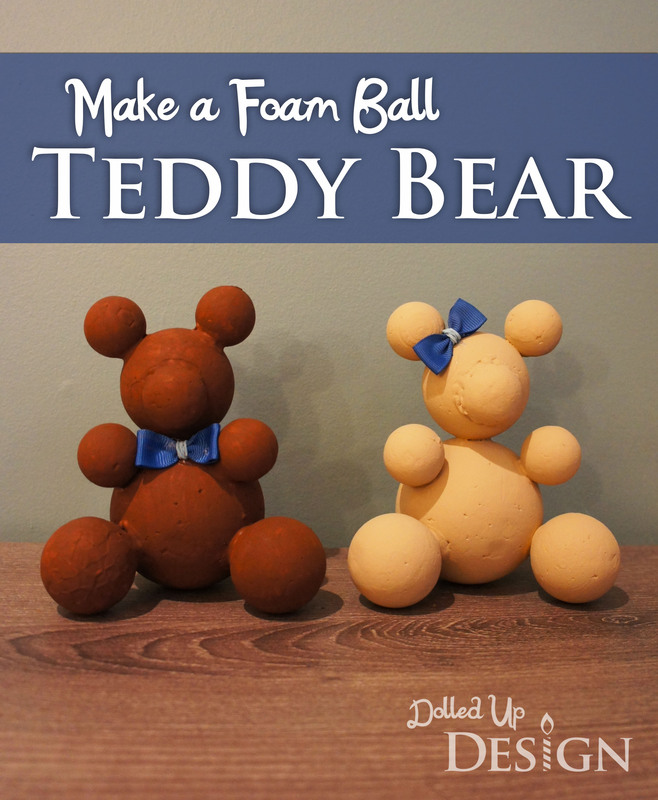 At first I thought two small balls glued onto a bigger ball would make a cute teddy head. Then, I decided to buy a couple more different sizes to see if I could somehow make a body and full teddy bear. 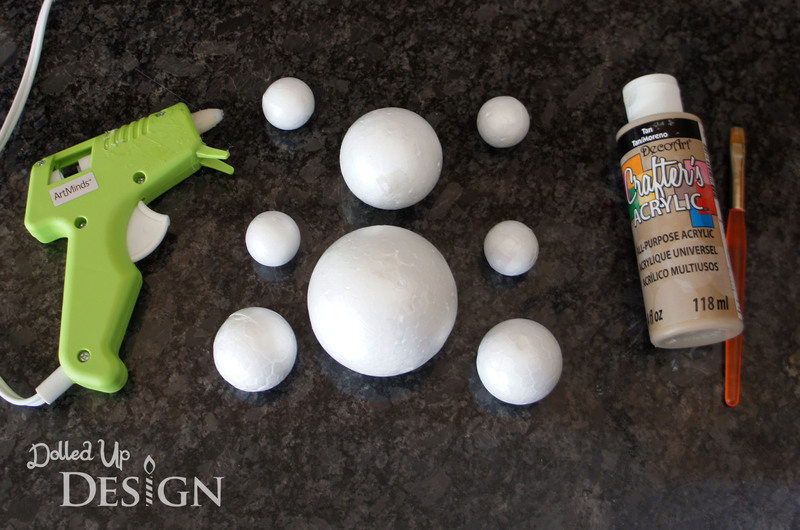 For this project you will need 4 different sizes of foam balls, hot glue, acrylic paint and any embellishments you might want for your bears. 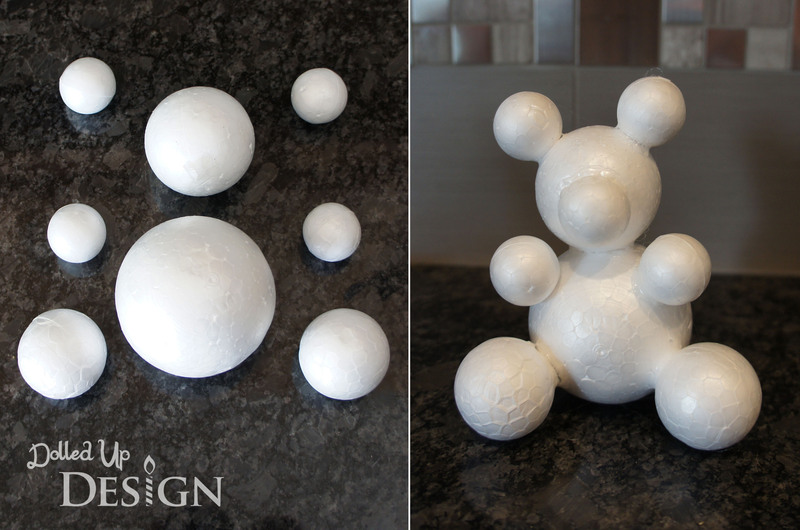 To create my bears, I used for of the smallest sized balls for the ears and arms, the next size up for the two legs, then a slightly larger head and the biggest ball for the body. For the nose, I cut the smallest sized ball in half with a serrated kitchen knife to attach onto the head ball. To connect the balls, I used hot glue, but toothpicks would also be a good method since the Styrofoam makes it easy to stick them into. The glue did require some holding as it set and my final bears were a bit messier then I would have liked. Once assembled, I simply painted my bears with a couple coats of acrylic paint and added on small bows I made from blue ribbon. I chose to keep my bears pretty minimalist, but you could definitely draw on a face with a permanent marker and personalize yours as you see fit. 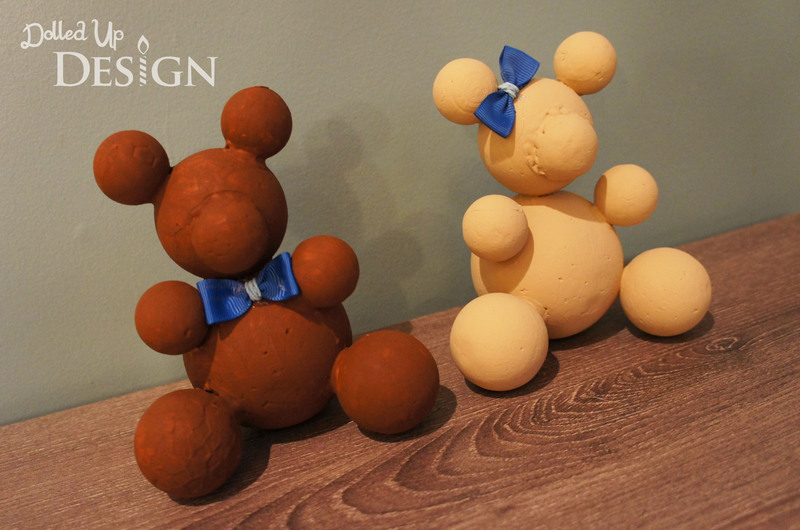 If you are hosting you own teddy themed party, these could be a cute, inexpensive craft to do with the kids. As mentioned, toothpicks could be used to attach the bears together and then you could have the kids decorate the bears however they wanted using paint, markers, googly eyes, pompoms, pipecleaners and ribbon. My kids enjoyed playing with the balls as I was working, and my son decided they make a great snowman so that will be one of our crafts to do together come winter. We may even make more of these bears and just leave them white to be polar bears! I can’t wait to show you what other Teddy Bear themed ideas I have come up with later this week!